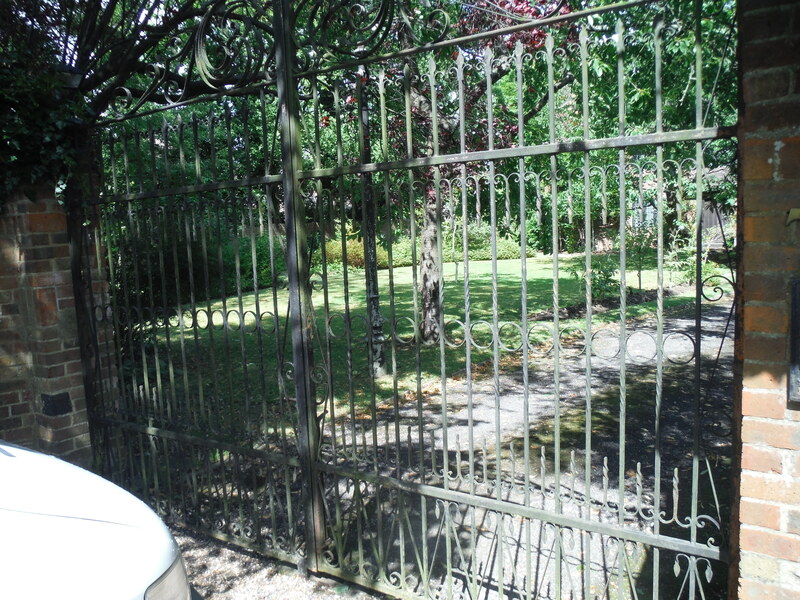 I was asked about fitting electric actuators to these rather pleasing wrought iron gates by an interesting Italian chap I have done a few jobs for. It transpired that he had hired as he put it ‘A little man from Sicily’ back in 1972 and flown him over. Said small fellow came over with nothing and manufactured the gates on site starting with just steel bar stock. He was supplied with a selection of hammers, and an anvil. 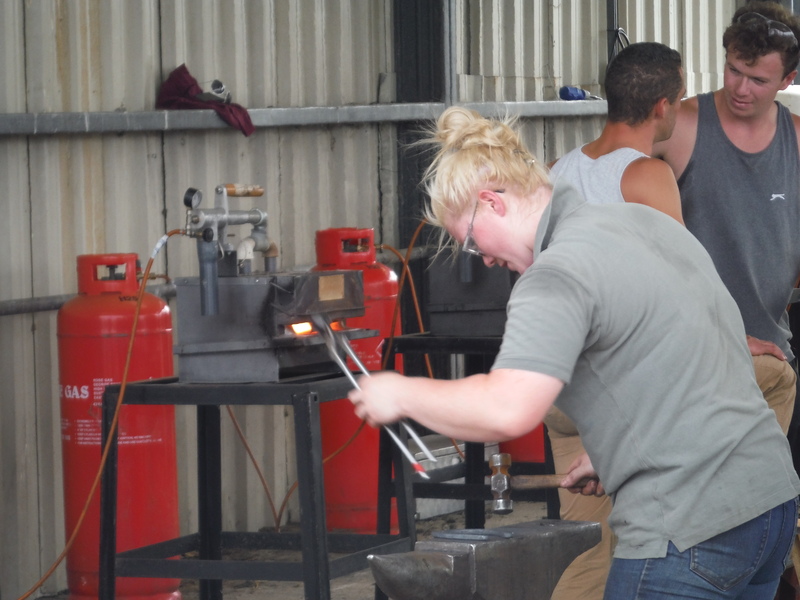 Everything else he made or improvised including the forge, which involved a hairdryer?! That’s just craftsmanship you don’t find anymore. 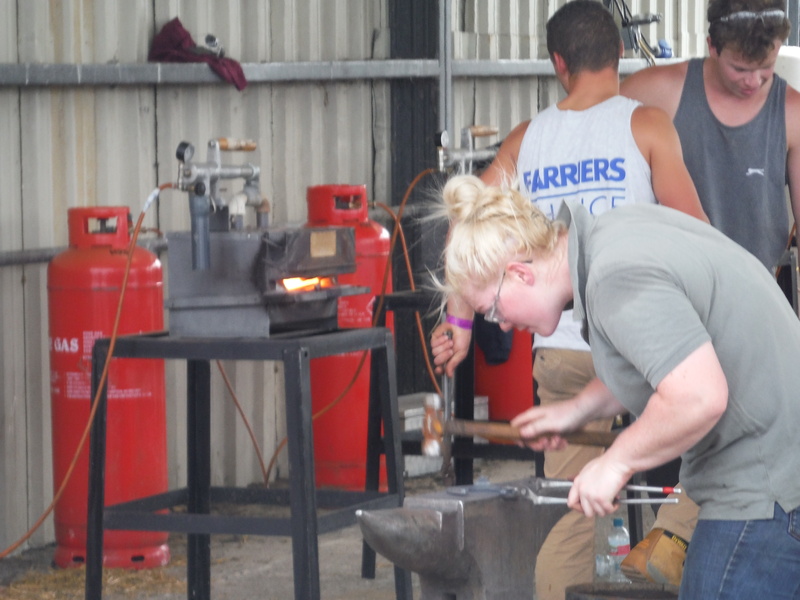 Though to disprove that point here’s some pics of my stepdaughter Ella taking part in a forging contest at the Edenbridge and Oxted show. 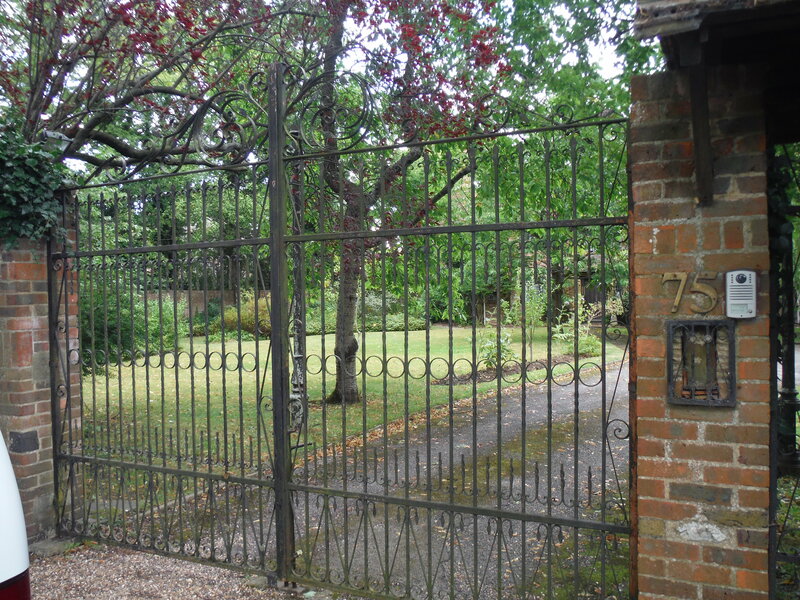 This entry was posted in Electrical service, Recent jobs and tagged craftsmanship, edenbridge, show, wrought iron gates.